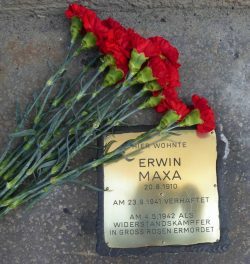 Grand opening of a new Stone of Remembrance in Favoriten, April 24, 2018. 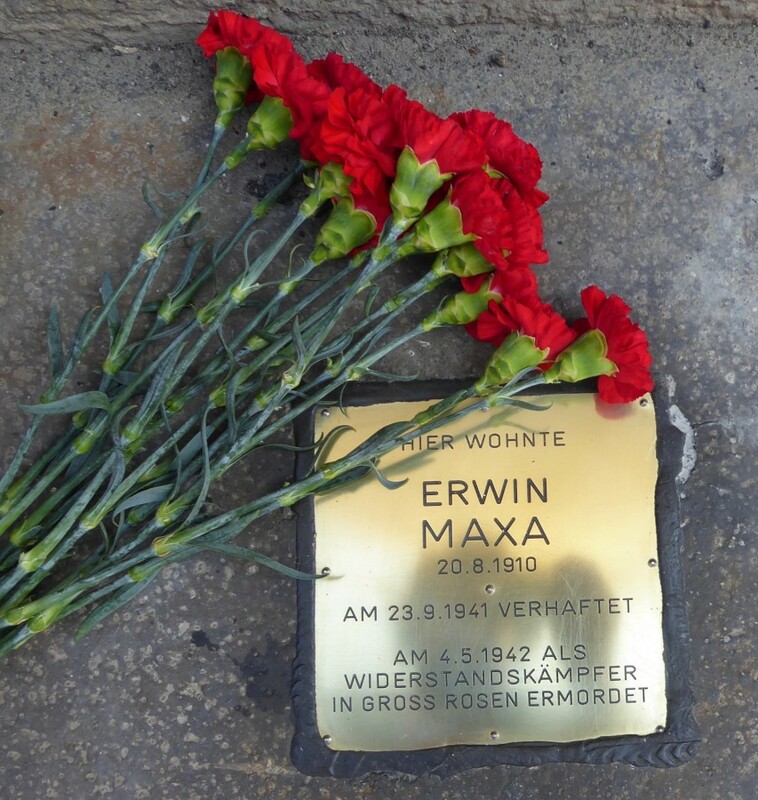 On the corner of Raaber-Bahn-Gasse and Scheugasse, many gathered for the opening of a new Stone of Remeberance honouring communist resistance fighter Erwin Maxa. Along with Jacqueline Dureck, initiator of the Stone, others present included District Representatives, residents, interested fellow citizens as well as members of the Association. After a short introduction by the Association, District Chairman Mr. Marcus Franz gave a speech stressing the importance of such commemorative events for the district and underlined the historical importance of communist resistance in the working class district of Favoriten. 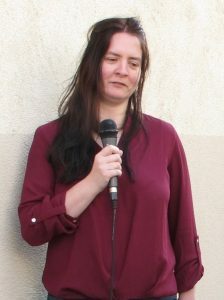 Roswitha Hammer of the Association stated that, in recent years 5 other Stones have been set at Favoriten addresses. On behalf of the Association, she thanked for the strong support given by the city of Vienna and offered special thanks for the ongoing support of volunteers and donors. 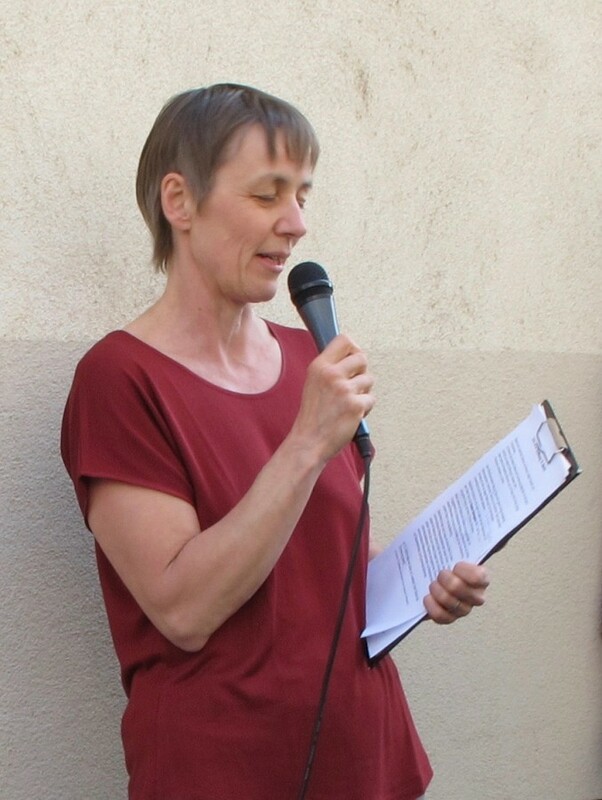 Jacqueline Dureck then spoke about the life of Erwin Maxa and described her motivation in setting a Stone of Remembrance for him.